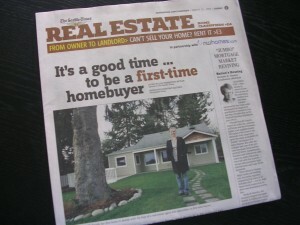 The Seattle Times Real Estate Article: "It's a good time...to be a first-time homebuyer"
Sunday mornings and it’s The Seattle Times, and a cup of coffee…ahhh…. While that home did not suit my clients, together we eventually found a great deal last fall, on a wonderful new construction, 4 bedroom, 2 bath home in Beacon Hill over looking Columbia City, I am glad that the buyer in the article, with the help of her Seattle real estate agent, found what she was looking for. Lot’s of inventory – this is how my clients wound up with such a great deal, the builder needed to sell some of his inventory and was willing to take a much lower price than what the house was originally listed for. Lower prices on homes – the downward pressure of lots of inventory beause of potential home buyers watching and waiting. Low interest rates – my lender, Christi, updates me on how the rates are and they are very good. Up to $8,000 tax credit– available for first time home buyers who qualify, and who buy between Jan. 1st 2009 and Dec. 1st 2009. Anyway, it was funny to see that house again in the newspaper, good thing I had already swallowed my coffee, or my photo would be of a coffee stained article…LoL! Yesterday Zillow released its’ Seattle Real Estate Trends for the third quarter (July, August, September) of 2008 and posted that Seattle home values decreased -7.53% compared to the third quarter of 2007. As a point of comparison, Zillow reported that home values Nationally decreased -9.7% for the same quarter. I clicked through the links: Seattle Real Estate Trends, to Click for Seattle values and, on the left under Seattle, the Excel icon , I found 5 tabs at the bottom of the page. There was a “Summary”, “Metro Area & County”, “City”, “Neighborhood”, and “Glossary”. I found the information shown under City and Neighborhood to be the most interesting as the values data that Zillow has compiled is broken down to what most Seattle home buyers and Seattle home sellers will find the most interesting; their particular neighborhood or city. These numbers are “Year over Year” of the “% change for the Zillow Home Value Index or “Zindex” over the last year (12 months)”. In other words, Zillows “Zestimate“, the median value for homes for in that area, and the percent less value compared to last years’ Zestimate median value. 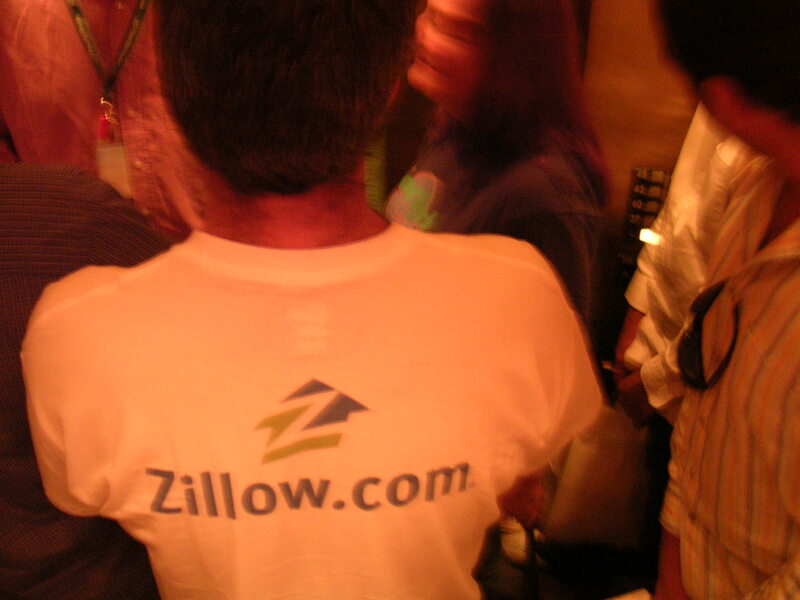 Now, these Zillow numbers are not just the actual sales based numbers like the numbers calculated by the NWMLS, although actual sales data is used by Zillow as a part of calculating Zestimates, so they are a model for comparing value. This makes the numbers a good tool for understanding value and comparing value, but are not the only way to measure an individual homes’ value. Just follow through the links to find the City or neighborhood that interests you, and check out the numbers…they are very interesting!